At Seresco we know the importance of the guest experience in your fitness facility. We also know that your bottom line operating, maintenance, and cost of ownership is a critical consideration. That’s why we build indoor pool dehumidifiers that deliver not just the best environment for your pool room with optimal energy recycling and maximum energy savings, but more importantly, our equipment can be relied on for a lifetime of trouble-free service. Don’t be fooled by the lowest first cost of cheap equipment that becomes a money pit to operate, maintain, repair and ultimately replace. Choose Seresco instead, because you know you can count on us for premium performance and reliability, combined with the lowest operating, energy, and maintenance costs in the industry. 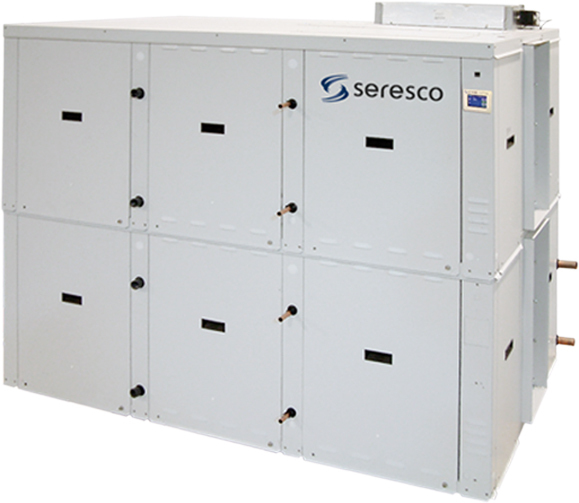 When it’s time to replace your old dehumidifier, NOBODY makes it easier and more cost-effective than Seresco. And our units are engineered to pack maximum capacity into the smallest footprint possible – so they are absolutely ideal for retrofit. How about the fact that our 2- through 7-ton NE models fit through a 30-inch doorway to deliver 850 to 3,400 CFM of air handling? If that’s not enough, our NE 200 Series also fits through a 30-inch door to deliver up to 6,800 CFM with redundant dual compressor systems allowing scalable performance and optimum energy efficiency under all conditions. 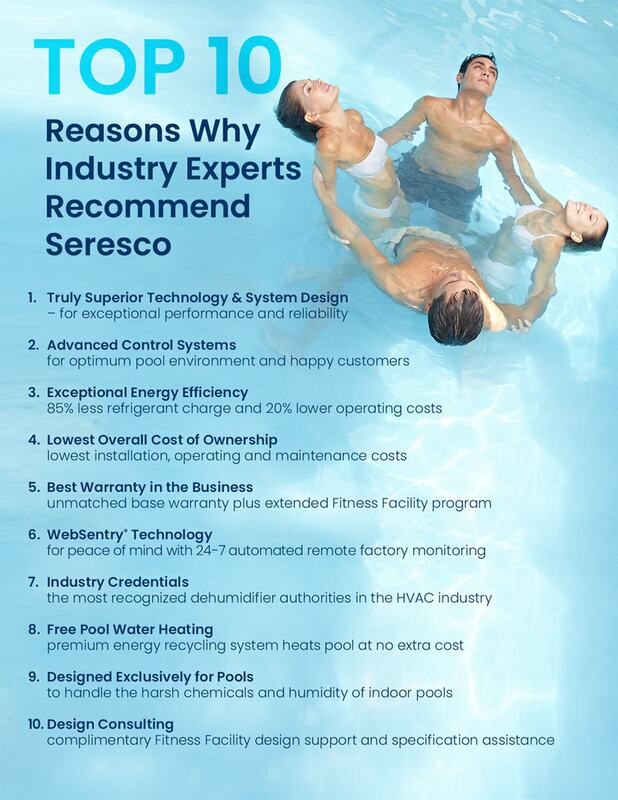 If you’re building a new facility, Seresco provides state of the art equipment for every climate and every size of pool. We also provide the longest warranty in the business including a full year labor warranty on top of a two-year parts warranty for every dehumidifier connected to our free WebSentry Internet monitoring service. WebSentry Technology also brings a vast array of benefits for contractors, service technicians and property managers (see below). Our innovative designs, packaged systems and state of the art Protocol technologies also greatly reduce installation, piping and copper costs. Our revolutionary Protocol technology also uses as little as 1/6th the amount of refrigerant required by traditional systems while delivering the most stable room conditions possible with virtually zero refrigerant migration and no restriction on dry cooler location distance.